AlphaSights wouldn’t be where it is now without our Office Experience (OE) team. From event planning to improving the firm’s environment to office maintenance, OE is a well-oiled machine that keeps our offices across the globe up and running. They’re always there to support coworkers and create the best, most productive environment for our employees. ‘Office experience’ can sound a bit ambiguous so we asked OE members across regions to talk about what they’re working on and their favorite parts of being on OE at AlphaSights. We currently have Office Experience members in New York, San Francisco, London, Seoul, and Hong Kong. OE initiatives in the U.S.
Morgan Smelter joined AlphaSights as an associate on Office Experience in 2017. She joined two weeks before AlphaSights was scheduled to move offices in New York and was thrown right in on day one. She was taken to the new office on her first day and it looked like a construction zone. There were a lot of moving pieces that still needed to be finalized and it was part of her job to make sure the space was ready to go in time for the whole company to move. After her whirlwind start at AlphaSights, Morgan settled into her role and has done a great job in sparking innovation and improvement for New York’s office environment. A few in-office activities she’s helped organized in the past are bagel Wednesdays, an on-site denim-fitting, and inviting a chef to serve gourmet dishes at certain events. Right now, an area that Morgan is passionate about promoting around the office is health and wellness. She’s researching some of the best ways to incorporate it into employees’ day-to-day. OE has hosted a few workout classes in office, bringing in professional instructors to teach yoga or cardio and strength workouts. A few ideas Morgan hopes to put into fruition one day are organizing a meditation session during the day with a professional who can teach employees best practices for meditating at work, and setting up massages in office. One of her favorite parts of her role is planning big company events. For example, Morgan just finished planning the Summer Party for 2019. She, along with her other colleagues on OE, attended several different venues and food tastings to pick the best vendors for the event. She enjoys creating the social calendar for the year and working with people from different segments to ensure the events are successful. Over in San Francisco, Johnny Ma, another associate on OE, is also focusing on health and wellness for the office. He just launched ‘Wellness Wednesdays’ where fruit stations are set up for employees to make smoothies throughout the day. He’s also booked fitness classes around the city for employees so they can work out together after work. Our San Francisco office is a bit smaller than our New York office so Johnny has a fun opportunity to plan more personal social events and in-office activities that are more conducive to a smaller group. 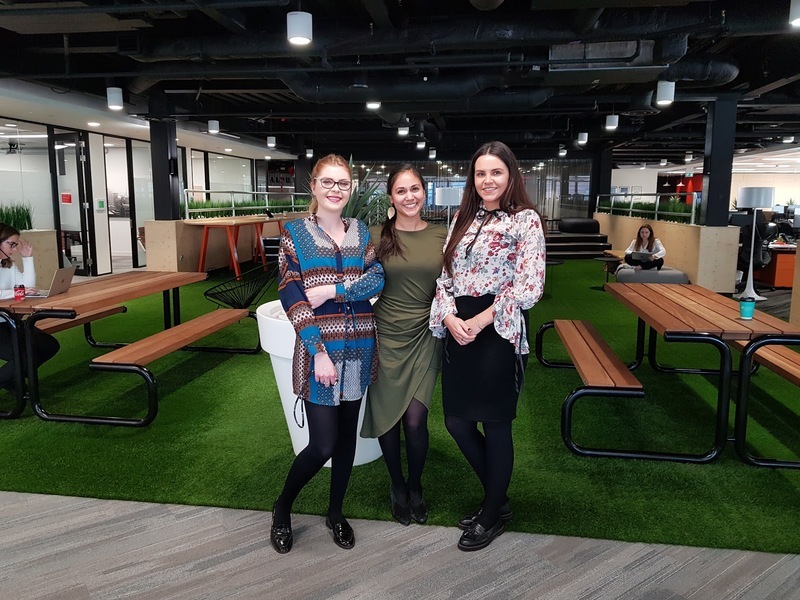 In London, OE manager, Chloe Robinson, works with associate, Chloe Hawkins and coordinator, Ellie Gray, on various long-term projects that fall into a few different categories. The first area of focus is facilities-based. The Recruiting team in London has ambitious hiring goals for 2019 so there will be an increase in employees. As densification in the office approaches, OE needs to prepare now and be as flexible as they can with the space they have. This process involves proactivity, liaising with internal stakeholders and external contractors, and understanding cost implications and optimal workflow. Chloe and her team are also dedicated to planning and enhancing successful onsite and offsite events that encourage office cohesion. Currently, they’re working to combine London’s special monthly drinks with AlphaX, AlphaSights’ speaker series. The team researches and brings in panelists and interesting speakers for our employees to learn from. Another event that Chloe Hawkins and Ellie are planning is the Summer Firm Day, an overnight offsite this June for the entire London office to participate in team bonding activities. The girls are in charge of securing a venue, coordinating the menu, and arranging travel plans. Reducing office waste is another long-term project the London OE is working on. As the office scales, it’s important to address the waste we produce and OE is looking into options for reducing it - especially non-recyclable materials. The team has already separated waste streams within the office and is looking into how the products we source, vendors we use, and overall working habits impact the environment. AlphaSights currently has four offices across Asia in Hong Kong, Seoul, Shanghai, and Tokyo. Yuki Law, who works in Hong Kong, and Sofia Kim, based in Seoul, work very closely to maintain the offices across the region and plan events and initiatives that foster a productive, healthy work environment as well as bring the four sister offices together. A few of the long-term projects Yuki and Sofia currently collaborate on are Asia’s AlphaStore and the region-wide offsite in September. The AlphaStore is the firm’s online store for company-branded merchandise. It varies by region and the two associates manage the digital store for Asia, designing new items, working with vendors, collecting feedback from employees on current offerings, negotiating pricing, and taking care of delivery details. The Asia offsite in September brings all four offices together for a weekend to promote team bonding and collaboration. Since the event involves coordinating with different offices, it requires a lot of advanced planning so Yuki and Sofia start early to make sure every detail is taken care of and the event goes off without a hitch. Yuki also works with Eason Lu, Communications associate in Shanghai, to effectively establish AlphaX in Asia. The two partner to identify speakers that will come in and deliver valuable learnings and experiences to AlphaSights employees. For example, Hong Kong recently hosted Dr. Christine Loh, Chief Development Strategist at the Hong Kong University of Science and Technology. She hosted a Q&A in office to discuss sustainability and inequality in Hong Kong. Over in Seoul, Sofia works very closely with the Asia recruiting team as AlphaSights continues to rapidly scale in each of the region’s offices. They strategize on how to hit hiring targets and Sofia ensures that all new joiners have a place in their respective offices. 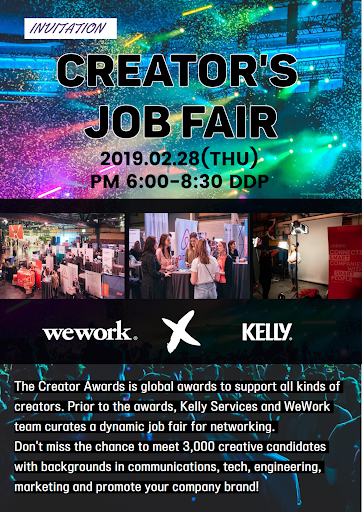 The team in Seoul is outgrowing its current WeWork space so Sofia is working with the company to figure out how to begin transitioning into a bigger space. One of the perks of leasing a WeWork space is getting to attend events they put on, like the career fair below. What are some of the more day-to-day tasks on OE? If you ask anyone on OE what their day-to-day looks like, they’ll tell you it’s never the same – and that’s half the fun. The team is first to arrive in the office every morning to ensure conference rooms and the office space as a whole are set up and ready for the day. They take note of any inventory shortages so they know when to order more office supplies, groceries, etc. Other general day-to-day activities include working with different vendors for office supplies/snacks or offsite/onsite events. The team also seeks out new corporate partners to provide company discounts to our employees for various places around the city. What is your favorite part of working on OE? If you're interested in working on AlphaSights' Office Experience team, check out our open positions here! AlphaSights is a global leader in knowledge search. Our mission is to connect the world’s top professionals with the world’s best knowledge, helping them improve critical decisions, sharpen their thinking and drive business forward.